What does it take to throw a Crazy Rich Asians themed soirée? Well, in our opinion, it takes the right kind of people, location and most importantly food. And with a theme like that, Singapore Tattle, erm, we mean Tatler, naturally had to be on the guestlist. 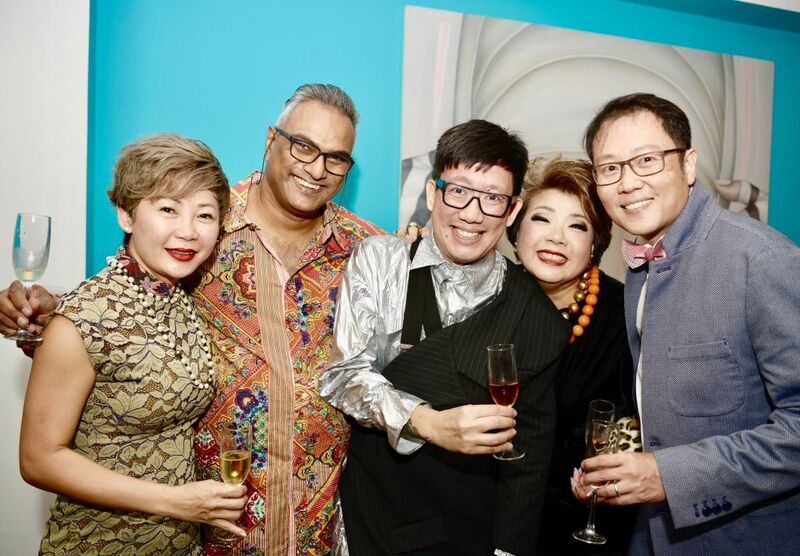 Hosted by fashion industry veteran Daniel Boey and Nosh Trekker (a company that curates delicious dining experiences) and held in conjunction with the Singapore Tourism Board, the event was a cosy house party for 40 guests in Daniel's own home. To keep the experience authentic as possible, Willie Tan, owner and founder of catering company The Amici oversaw the 17-item cocktail and canapés menu which included tantalising Asian dishes with tongue-in-cheek names like "Peik Lin's High Tea" and "Annabel's Mango Pops", inspired by the characters in the book. And for dessert? Slabs of ice cream served on a slice of rainbow bread from a local ice cream truck. Now that's what we call a truly Singaporean feast.